- NOTE: A class get-together at Mundelein Seminary. Thursday, April 19, 2018 in the Conference Center. Directions, www.usml.edu campus. That is the day before the official celebration at the Seminary on Friday, 4/20/2018 of the 50th/25th Ordination Anniversaries of the Ordination Classes of 1968/1993. Events page. Reservations, payments, contact Jim Quirk, jimquirk@cox.net. zzzA class get-together Thursday, April 19, 2018 at the Conference Center Directions, www.usml.edu campus. That is the day before the official celebration at the Seminary (by tickets) on Friday, 4/20/2018 of the 50th/25th Ordination Anniversaries of the Ordination Classes of 1968/1993. Events page. Reservations, payments, contact Jim Quirk, jimquirk@cox.net. - NOTE: Saturday, April 21, 2018. A Q61a evening at Ascension Parish in Oak Park IL. 6:30 to 10:00, in the Pine Room - basement of the school at Clarence and Van Buren. Events page. Info, Jay. - zzzNOTE: Saturday, April 21, 2018. A Q61a evening at Ascension Parish in Oak Park IL. Events. Details announcement soon, Jay. - George P. McKenna, 99, January 26, 2019. Notice, Notice. Professors. Website. - George P. McKenna, 99. 1/26/2019. 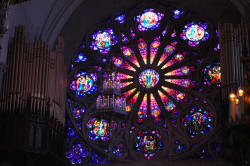 Notice [Wake Thursday, January 31; Funeral Mass Friday, February 1. 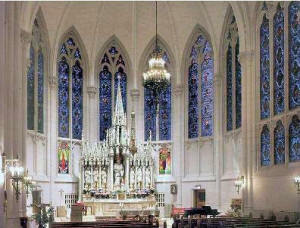 Both at St. Barnabas in Chicago.]. Notice. Professors. Website. Church, 10134 South Longwood Drive, Chicago. 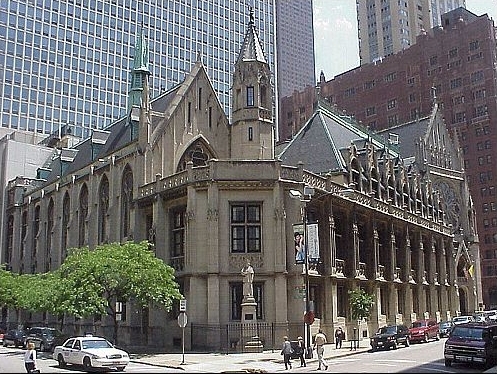 - Archdiocese of Chicago to Close St. Joseph College Seminary of Loyola University Chicago. June 2019. News release. Website. - Tom Craig, November 11, 2018. Notice. Students. - 7/12/2018. 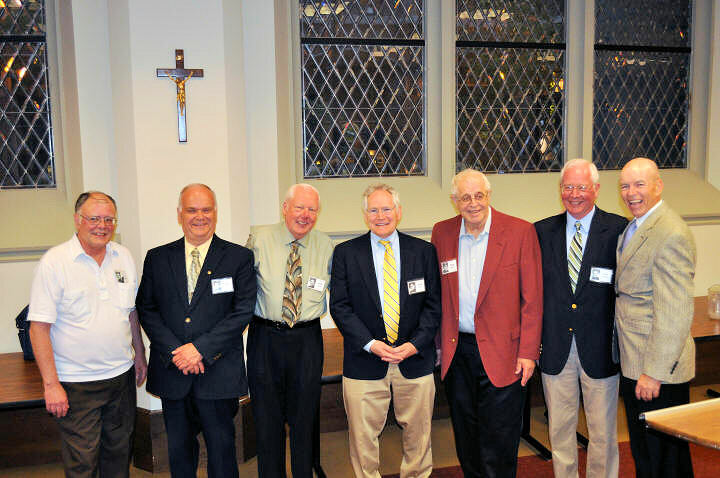 Mundelein Seminary alumni dinner-golf honored the ordination class of 1968. 2019 event will be 7/11/2019. Events. usml.edu. - 7/12/2018. 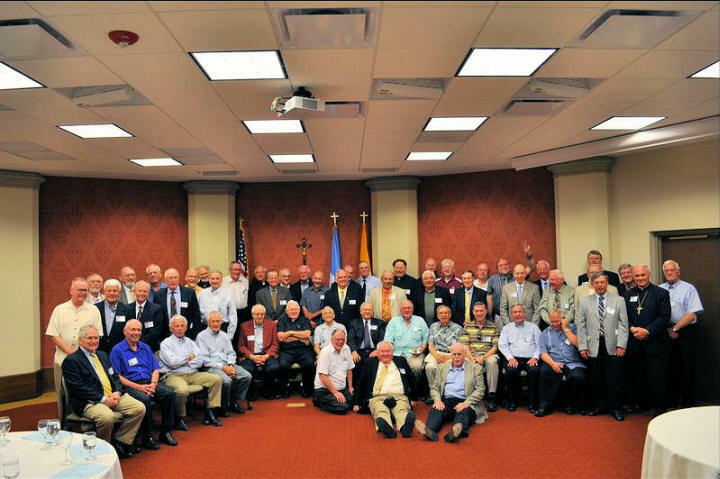 Pine Meadow Golf Club [free] golf-and/or-dinner event at Mundelein Seminary will feature the ordination class of 1968. Events. - 6/1/2018. Springfield and Belleville ordinations 50th anniversary. Events. - 5/25/2018. Joliet ordinations 50th anniversary. Events. - 5/2/2018. Chicago ordinations in Mundelein 50th anniversary. Events. - 4/21/2018. Party in Oak Park. Events. - 4/20/2018. Anniversary events at St. Mary of the Lake. Events. - 4/19/2018. Overnight get-together at St. Mary of the Lake. Events. 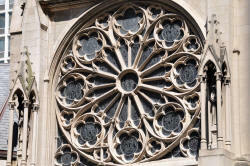 - SML68 website, www.9898.us/sml68 now has the John Kiselis slideshow for the ordinations 50th anniversaries. Or use SML68 tab at www.9898.us/q61a. Archived copies will be at Archive.org. - Jim Stefo. April 4, 2018. Information soon. Cf. Rich SemyckServices, obituary.pdfStudents. - 12/21/2017. Chicago ordinations in Rome 50th anniversary. Events. - Friends seek donations for George and Dianne Nordling after July 2018 flood damage to their home. Cf. Bob Melcher. Or donate online. - Rev. Robert A. Cross, June 9, 2017. Professors. More. - Rev. Robert A. Cross, June 9, 2017. Professors. Obituary. Visitation Tuesday, June 13 from 3 to 8 pm. at St. Luke Church, 7600 Lake St., River Forest. On Wednesday, June 14, Visitation and Funeral will be at Ascension Church, 801 S. East Ave beginning at 9:30 until Mass at 10:30 am. Interment Queen of Heaven Cemetery. - See more at: http://www.legacy.com/obituaries/chicagotribune/obituary.aspx?n=robert-cross&pid=185764236&fhid=16229#sthash.6vCfV90I.dpuf. - Don Sebek headed an April 2017 township slate seeking to protect social services. News. Web. - Site www.9898.us/q61a updates include: Bio Jose' Acevedo (Students). Class data sheet rows (Students). - Rev. William H. Sheridan, December 9, 2016. Professors. - Frank J. Keller, September 29, 2016. Students. 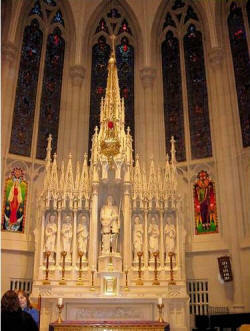 Funeral, Lisle IL, Oct. 3-4. - 9/10/2016 Cancelled: Proposed overnight at St. Mary of the Lake. Events page. - 8/18/2016 Tribute to our faculty. Photo. Events. - Hugh Kelley, April 16, 2016. Students. - 9/12/2015 Mission party in Oak Park. Events. - Joe Corso, Dave Van Thull, Rev. Ken Kleiber, Rev. Ray 'Pete' Devereux, Dr. Jose' Acevedo. Students. - 53 of us now have bio information posted. Students. - 8/28/2014 Mission party in Oak Park, with Rev. John Cuff of Hong Kong. Photos by Ed Barbier. - Our Bennie classmates (1957 Yearbook) are now included in the 'addl' list at Students. Thanks to Jim Gallagher. - 9/21/2013 Mission party in Oak Park. - 6/10/2012 The '50 + 1 Reunion' at Quigley. Organized by The Reunion Committee. Home Page. - 6/9/2012 Mission party in Oak Park, hosted by Jay Champelli and John Lillig. Photos by Hugh Kelley. 1968 Priest ordinations for IL dioceses. 1962 SML Junior College, Niles year end. SML, Mundelein start. 6/9/1961 QPS Fifth Year graduation (H.S.+1) of 137. With Fourth Year (H.S.) graduation class. 1942 and 1943. Birth years of most Q61a class Students. - You can send email to the group anytime. First, while viewing the latest full group email you have received, click 'Reply to All'. Then, edit the 'To:' list as desired. Compose your message, including inserting any attachments. Optional - - Before hitting 'Send:', move your 'To:' list (by selecting, cutting, pasting) into the 'BCC:' box ('BCC:', unlike 'To:', is not revealed to the recipients). Use your own email address for the 'To:'. Finish with 'Send'..
- Some emails to our list have 'From: Ed Barbier', but are bogus and may capture your own mailing list for some unknown use. Avoid clicking any link in such email. - Bookmark this web page, 'www.9898.us/q61a'. Mention it in all your emailings to classmates. Members Risen to Eternal Life. A List of Our Professors. Sunday June 10, 2012 We had 59 attendees at Mass and the dinner and 43 at the Saturday night mission party, (where we raised $475 for John Cuff and Maryknoll). That's 64 of our classmates out of 114 (56%). Jay. Many thanks from all of us for the work done by the Committee. asidez. same dir ok even rel pathed. SeeiNG THIS text means a w3-include-html= attempt per js is STILL LOADING OR HAS FAILED. Many of the photos were found on flickr.com. Credits could not be traced. John Cuff is in the States this month. Come to a Mission Party with John. We'll have pizza, pop, and beer. Please let me know if you are able to join us (or not). Email. The 2014 version of our Mission Party was Saturday June 28. Hong Kong. Last year we raised $500. others. I'm sure many are curious who these "old guys" grew up with! wine, hot dogs and potato salad. This site is www.9898.us/q61a. 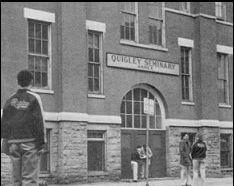 Versions of the site quigleyclassof61.com are permanently at archive.org. R.i.p. 9/18/2013, Dave Van Thull, QPS '61. Dave created and developed this site. and Brothers / 44 Stanley Village Road / Stanley Hong Kong. Conclusion. To bannercommon.htm????? A banner-like container sb position:relative (or class w3-display-container? or lack position:?). And the contained objects sb position:absolute (or class w3-display-content?) and left: (or class w3-display-topleft). etc. This div element has position: absolute; and a big top px. INDEX.HTM 211 MYTITLE - - IN ANOTHER BANNER???? ALLLSO NOT AN IFRAME. NAVHERE - - IN ANOTHER BANNER??? ?